December. A month that for many brings holiday cheer, visits with family and friends, bargain shopping, twinkling lights, festive carols and songs, new memories, extra fun and novel experiences. For others, it is a month filled with overwhelming family gatherings, endless shopping lists, crowded stores, bright lights, overplayed jingles, disrupted routines, and extra stress and chaos. In effort to support your children, and family, during the holiday buzz, try reading the social story “Celebrating the Holidays.” This interactive story allows you to talk with your child about the holiday(s) your family celebrates, and to write in your specific family plans to help prepare your child. 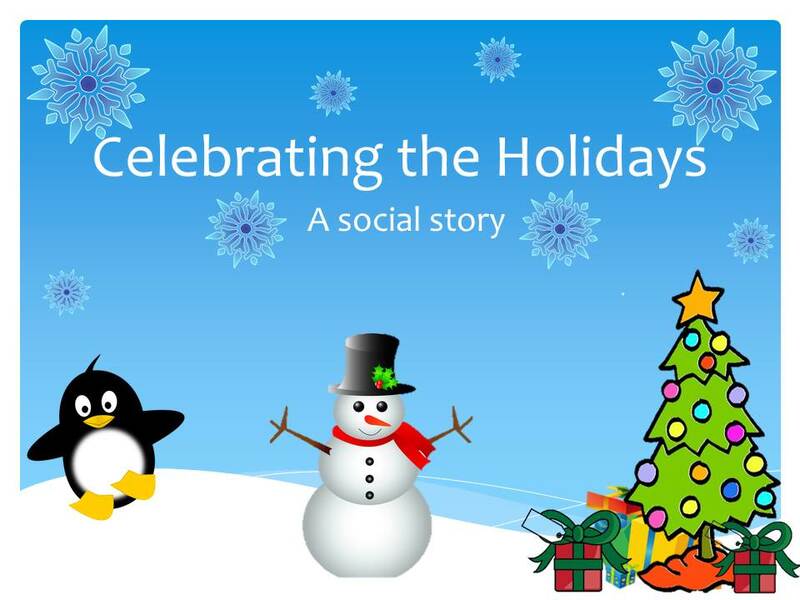 You can download the holiday powerpoint presentation here Celebrating the Holidays Social Story.